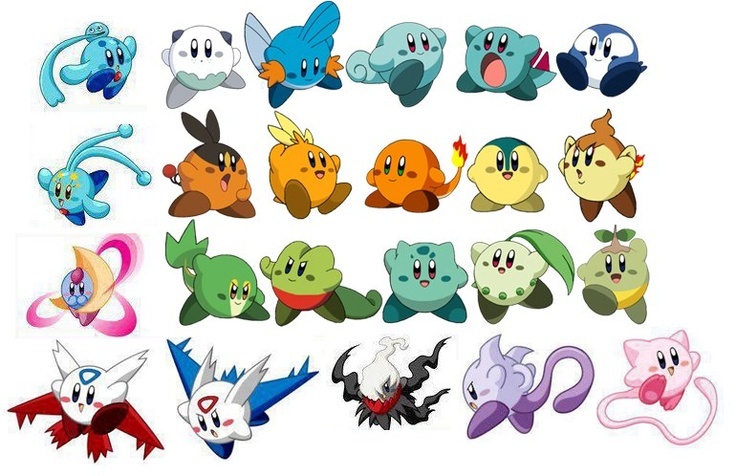 Is Kirby a Pokemon? Or this is just a mistake? This evening, when I was walking back home after a long tired day, I overheard two boys chatting. One said Kirby is a Pokemon, the other refused to believe. Then I arrive home and searched what the boy had said on the Internet. Many websites said Kirby was such a special kind of Pokemon that it had its own series. Is this true? I have played both games and found no connection between them. I disagree. Here is obvious proof that Kirby is, in fact, Ditto. +Grime Time Omg that is so cute!!! I wish they would make real pokemon like that!! +Grime Time I don't think your picture is from reliable source. -_-! +JirachiTrainer I got it from wikipedia. That's reliable all over. Nope, Kirby is not a Pokemon, he has his own special game completely separate from the Pokemon series. You are correct, there is no correlation between the games. Would Petal dance confuse in this situation? Is FEAR a sort of role or an abbrieviation? Magic Guard truth or glitch? ?